Yandex is one of the success stories of the Russian Internet. The company is one of a handful of cases where a local Russian player resisted successfully the market entry of a big Silicon Valley company like Google. Russian search engine Yandex made big news by nominating German Gref, the head of state-owned Sberbank, to its Board of Directors. Some may see this as a primarily political move – as yet another attempt by the Kremlin to crackdown on the Internet - but it can be more effectively understood within a purely business context. Quite simply, Yandex is looking to diversify its offerings amidst ramped-up competition from Google. 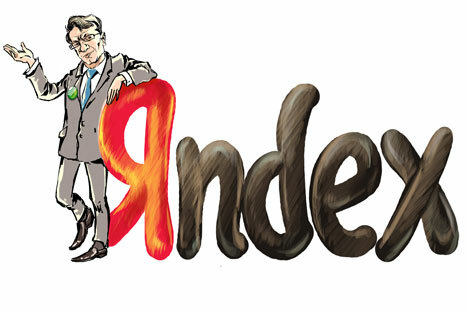 Yandex looks as strong as ever as one of the world’s very few national search engines. However, the company definitely needs fresh ideas to maintain its historical growth rate in the high double-digits. This made Yandex a very strong stock performer. As of December 2013, Yandex had a price-earnings ratio 47 percent higher than Google and 24 percent higher than China’s Baidu. This came from consistent outperformance of investor expectations in the company’s core market of on-line contextual advertisements. Yet, the fact is that Yandex vs. Google is still very much a David vs. Goliath battle. Google commands a quarterly net income much bigger than Yandex’s annual gross sales. To sustain its growth, Yandex needs to at least keep on par with Google in technological competition, developing more and more effective analytical algorithms of web search and contextual placements of ads. Here, Google is definitely in an advantageous position, with the ability to develop its advertising model in a market that is dozens of times bigger. The problem for Yandex is that, with all the technological sophistication of its "engine," it still sells a service that looks very generic to end-users. Its "end-consumers" look for more effective search results and its "end-buyers" (the advertisers who actually bring cash to the company) are looking for ways to spend less ad dollars per sale. In markets like these, you can hardly develop a "premium brand" strategy by putting a higher price tag on the offering that will compensate for a smaller amount of production. Yandex has to appear to its customers as the effective and price-competitive alternative to Google. The historic focus on one language (though Yandex is now as multi-lingual as Google) gives it some advantage, but less and less with each passing year. Another competitive advantage for Yandex is the cheaper workforce of very skilled programmers and mathematicians in and around Russia. Both factors, though, are not enough to compensate for revenue that is several orders of magnitude smaller than Google’s. The economic environment is also not so bright for Yandex’s development. If Russian consumer markets are to slow down in line with overall near-stagnation in the economy – this will most likely mean flat ad revenues regardless of its competitive position vs. Google. Yandex has to compete for the share of ad budgets not only with the more or less direct rivals (including other Russian web players like Mail.ru), but also with other media, primarily TV, which is still the No. 1 priority in most media plans. Yandex was very successful in expanding its share of the advertising pie in the past and, in theory, can do a lot to expand further on, yet it is likely to get an increasingly diminishing return on these efforts. There will be growing investor pressure to diversify. How can Gref help Yandex? It’s best to view this appointment, rather, in a broad business context. First, we should remember that it was Sberbank that acquired a majority stake in Yandex.Money about a year ago, and the venture is run as a joint venture with a certain level of technical integration between the systems – thus the strategic cooperation between two companies is nothing new. To sustain its growth, Yandex must be looking for ways of expanding its revenues beyond the advertising, especially as this source may be particularly vulnerable in the context of economic slowdown. We can see Google venturing in its M&A strategy into very unexpected businesses like robotics. That means Yandex is also likely to seek a much broader vision than that of solely an Internet search engine. Actually the search engine is only the tip of the iceberg of the technical capabilities developed by Yandex. It currently commands what is likely to be the Russia’s biggest team of “data scientists,” putting the company definitely in the world’s premier ranks for complex information analysis. Having such a team with a proven success record means having a unique strategic asset not only for a corporation or industry, but probably also for the country as a whole. However the challenge is to find the business or organizational applications for these technological capabilities, preferably in the most unexpected fields, to gain a first-mover competitive advantage. Such a search requires broad business erudition and intuition as well as the power to influence the creation of technology ecosystems. Sberbank itself – due to the very scope of its banking operations - can become a very effective test ground for creating the new generation of analytical technologies that can then be adapted for “export” to other industries and markets. There is a great room for technologies of consumer behavior modeling (like credit scoring or “next best offer” marketing, e.g. based on social network profiles or even search preferences), there are plenty of things to do on the enterprise content management side (as banking is inseparable from producing high quantities of legal documents), though the whole point may be exactly the search for something beyond the obvious. Viewed from this perspective, the head of Russia’s top bank looks like the perfect match for this type of task. Of course, there is also the issue of the scale of personality of Mr. Gref, which can be used to further develop Yandex as one of Russia’s few global brand icons and a model case for development of national business champions in non-resource-driven industries. What are the possible new strategies for Yandex? Read more in the full version of the story at Russia Direct. Russia Direct is international analytical media outlet with the focus on foreign policy. Its premium services, such as monthly analytical memos and quarterly white papers, are free but available for subscribers only. For more information about the subscription, please visit russia-direct.org/subscribe.